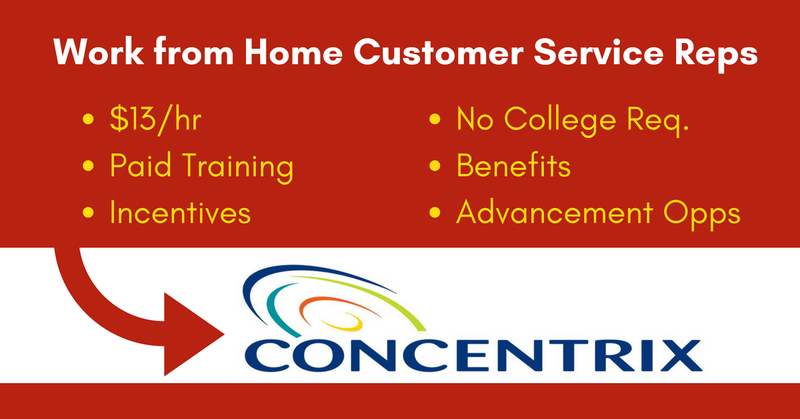 Concentrix, a legitimate company with a broad base of home-based workers, has posted openings for Full- and Part-Time Customer Product Support Advisors. This appears to be for Apple customer support, though the company hasn’t confirmed this. Hiring in 46 states (sorry, California, Vermont, Hawaii & Alaska). “We are currently looking for bold and tenacious Product Support Advisors to provide a premium customer service experience by responding to inbound phone contacts to troubleshoot and resolve advanced technical issues while supporting one of the largest technology companies in the world. Any and all call features MUST be removed. This may require contacting your Provider. Corded Telephone headset. Plugs directly into your telephone base. For a detailed discussion on our Facebook page about these jobs, click here. To go straight to the jobs, click here. For more jobs like these, check our Newest Jobs & Gigs page. To be the first to hear about jobs like these, like our Facebook page. Good luck in your next steps toward working from home! This entry was posted in Customer Service Jobs, Hiring Companies, Jobs That Don't Require a College Degree, Jobs with Benefits, Part-Time Jobs, Work at Home Jobs and tagged Concentrix. Bookmark the permalink.